I was trying to create a liveUSB with many distros. The reason is simple. All of my USB sticks were quite big for only one distro. So the rest of the USB space is wasted. For example, the openSUSE USBs I got from conferences, are 8GB. If I use installation DVD, I’m going to use only 4GB. LiveGNOME is only 1GB (the rest would be persistent drive for storage but personally, I don’t use it. For that reason, I used 2 programs. I translated to Greek. Unfortunately, this software is installed only on Ubuntu/Debian distros. I used it also on Arch Linux but there was a problem lately and didn’t work correctly. On Ubuntu, I managed to insert 13.1 successfully and lately this was difficult to do. At the end of each time, there were some strange symbols running for a quite long time with a sound (I muted the sound for that reason). I think persistent drive for 13.2 and Tumbleweed wasn’t something that the creators of the program added. DVD ISO and NET install ISO wasn’t at their list either. This works on Windows. At the end of the page there’s a version for Ubuntu/Debian (and source code). I didn’t test them. I tested this tool and I inserted NET install ISOs to an old 512MB USB I had. The only “negative” is that there wasn’t room left for the ISOs I wanted. 90MB x 4 = 360MB. It adds syslinux stuff. Anyways, at least I can use a very old USB. 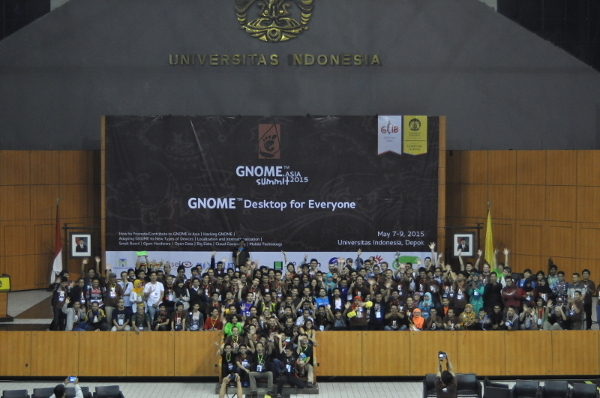 Many thanks to openSUSE/SUSE who willing to become one of the sponsor for this event. 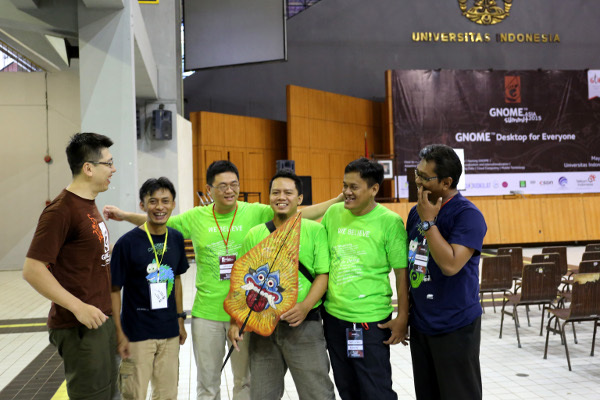 I organized some friends from Indonesia openSUSE community to make an openSUSE booth. We prepare several PC and RasPi for some demo and displaying openSUSE 13.2. 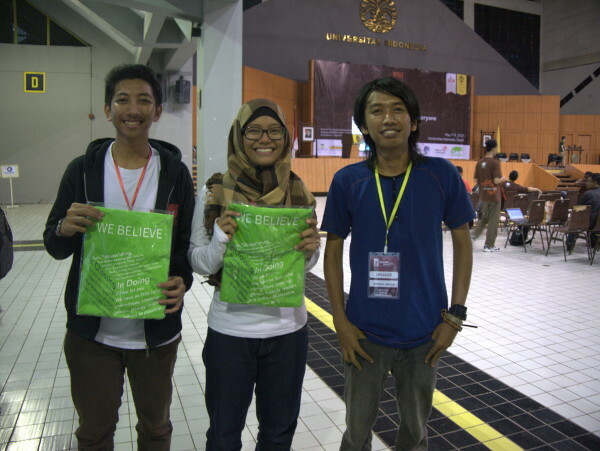 I really appreciate the help from Andi Sugandi, Yan Arief Purwanto, and Adnan Kurniawan for their time in this event. Joey Li from SUSE Taiwan, Max Huang from Taiwan openSUSE community and Bin Li from China openSUSE community, also came and joint us on the event. Thanks to wonderful people of openSUSE and GNOME, and finally some happy face with openSUSE t-shirt! We’ve seen two Dynamic DNS clients. We’ll see another one here. 1. First of all, install the program. Change the ones that are in bold letters. We’ve seen how to create an SD card. I used the 13.1 version. The wiki page https://en.opensuse.org/HCL:Raspberry_Pi is not very clear (to me) about resize partitions. So I tried to upgrade the version 13.1. Here what I did. 1. Check if the update repository already exists and is enabled. 3. Remove all third party/OBS repos you no longer need. 4. Change all remaining repo URLs to the new version of the distribution (needs to be run as root). If you haven’t removed third party/OBS repositories you may encounter some errors as these repositories may not exist yet or they may have different unguessable URL. It is always recommended to remove them and add their newer version after upgrade. Now you have to wait. Reboot at the end, just to be sure that everything went smooth. A good question is why do you want to sync a folder on your Raspberry Pi with a cloud service. The answer is little complicated. It’s a subproject that I’m working on right now. I want to upload some data I’ll create on a Raspberry Pi (with limited size of SD card). The uploaded data will be saved on other computer and the SD will be clear again to create new data. The cloud service I prefer is always ownCloud. Here I used http://www.copy.com. It provides 15GB of disk but you can increase it. This will create a folder called “copy,” and in it there will be three sub-folders: “armv6h,” “x86,” and “x86_64.” The first one contains the Copy client binaries for the Raspberry Pi, the second contains the Copy client for 32-bit Linux on a PC, and the third the same client but for 64-bit Linux PCs. Now there are 2 ways of using copy. The CopyCmd tool and CopyConsole. The CopyConsole tool keeps a folder on your Raspberry Pi synchronized with the data on Copy.com. This will sync the local /home/user/directory to copy.com. If you delete something from there, it’ll delete from local folder as well. Remeber to run this command everytime you restart your pi. It’s better to run it manually because there is username and password that are personal (unless you created an account just for your raspberry pi). Raspberry Pi is a quite slow ARM board, compared to other boards. Even if you compare Raspberry Pi B+ against Raspberry Pi 2. So maybe one of the best use of RasPi is to make it seedbox. Let’s say you’re at the office and a friend tells you to test a distro. You can login to your home Raspberry Pi seedbox and add the torrent file there. Here I will show you how to setup Transmission, vftpd and suggestions for Android programs. First of all, download and create the openSUSE SD card (resize your SD card to full size or you can mount the extra size as extra partition. Since it’s not something important, then you can use full size of your SD card). Then setup the dynamic dns service (see previous posts). Finally set a static IP (to use it with port forward of your router). To set a static IP in Debian based distros is easy. Just change a file (/etc/network/interfaces). In openSUSE is easier. Everything can be done under YaST. 1. Open YaST and go to Network Devices>Network Settings. 2. Then choose Statically Assigned IP Address (move with tab button and click on space button). Give the static IP you want and as Subnet Mask, 255.255.255.0. Press Next (press enter). 3. You’ll see an overview of the ethernet card. 4. Go to Hostname/DNS and add Google’s DNS servers (optional). 5. Next, go to Routing and add your router ip (usually 192.168.1.1). Now press OK, reboot and try to login again with SSH. We’ve seen how to install no-ip. Let’s see one of them https://freedns.afraid.org. After you register, go to Dynamic DNS link (on the left top box-for members). Add your host with type A and subdomain and domain what you like as host. Now it’s time to install the client. I’ve found it from https://github.com/troglobit/inadyn. 1. First of all, install the needed programs to build the service. The bold words are the ones you should change. Remember the alphanumeric key is the one you got from right click on the Direct Link. 7. Start the client. Create the service file. 8. Add the following content. 10. Reboot and check if the service is running. We’ve seen how to install openSUSE image on the SD card. Next step is to be sure that we can have access from outside our house (since most of the times, Raspberry Pi is located at home). To do that we use Dynamic DNS services. A free service (so far) is No-IP. Most of the routers support it. You can use your router’s service. But what if you want 2 different host names on the same IP? Let’s say you have different ARM boards on the same router or you have a server etc. While it install’s the software you will prompted to enter the username & password. Once that is done it will ask you teh refresh interval … leave it.. to have the default value. You are required to answer some more questions … just ans NO an d you should be good to go. But what if you reboot? You want to start the client everytime you reboot. This can be done with systemd. 1. Create the service file. 2. Add the following content. 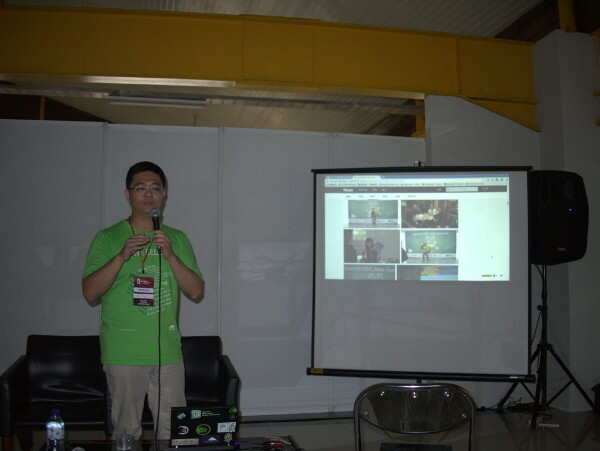 Most of the projects around the Internet use Raspbian as main Raspberry Pi distro. Unfortunately, Raspbian doesn’t work for me. Minibian worked. So I serched other distros. My favourite is Arch Linux because there are plenty of programs that I need for projects, but it needs some extra steps from terminal to create the SD.
. I’ll collect the information I need for projects, I’ll write next. I used 13.1 as distro because it’s easier for me to resize the SD card. usually it’s going to be /dev/mmcblk0. 3. Since I didn’t use a monitor (HDMI or DVI), I had to do some extra steps before boot my raspberry pi. a. Delete the file /var/lib/YaST2/reconfig_system to start headless. b. Resize the ext4 partition with Gparted.